The Associated Students Senate tabled a bill last Wednesday, Jan. 9, that would create a time limit on their weekly meetings. The meetings, which have lasted until 4 a.m., would have to stop at 9:45 p.m. and all unfinished business would be postponed until the next meeting. The writers of the bill, second-year On-Campus Senator Patrick “Mac” Kennedy and Off-Campus Senator Taquan “Taco” Harrison, believed that the length of the meetings decreased productivity. Much of the opposition of the bill came from students in the audience of the meeting and AS President Sophia Armen. Their opinions were that a time limit would decrease the time allotted for students to speak at the meetings. Kennedy, however, believes that shorter meetings will actually be better for students overall. Although the writers believe that the time limit must be implemented first and productivity will come after, others think the opposite is true. Although a final decision was not reached, the Senate said they would continue discussing it and hopefully come to some decision regarding productivity. AS Internal Vice President Mayra Segovia said she recently had meetings with leaders of Senates of other schools such as University of California Irvine, UC Berkeley and Stanford. 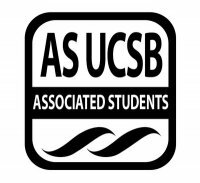 According to Segovia, none of the other schools’ meetings go on as long as UCSB’s, and none of them have had as many resignations as UCSB, something that the Senate attributes to the length of the meetings. Discussion on the length and productivity of the Senate will continue in upcoming meetings and until then there will be no limit on how long a meeting can last.